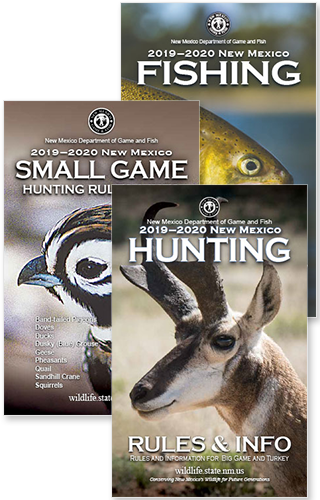 The New Mexico Department of Game and Fish brings nearly $1 billion a year to the state’s economy, often to rural areas where funds are needed most. Receiving no money from the state’s General Fund, we are funded by our customers — the hunters, trappers and anglers who enable us to conserve wildlife and provide recreational opportunities that benefit everyone. License sales annually provide approximately $20 million, our primary funding source. This is supplemented by the federal Sport Fish and Wildlife Restoration Program which provides an additional $12 million by matching on a three-to-one basis the dollars we invest in conservation. With these funds from hunting, trapping and fishing we provide services that extend far beyond license sales or simply patrolling for poachers. – Our highly qualified biologists use the best science available to manage the state’s wildlife for more than 100,000 hunters and 800,000 outdoor enthusiasts to enjoy annually. – Millions of trout, catfish, walleye and other fish are stocked each year for the enjoyment of more than 250,000 anglers who visit our state’s lakes and streams. – Partnerships with private landowners, land management agencies and conservation groups to improve habitat and allow healthy populations of game and other species to thrive. – More than 100 skilled and professionally trained conservation officers patrol the state to pro-tect wildlife from poaching and other illegal activities, respond to human–wildlife encoun-ters, and keep people, property and wildlife out of jeopardy. – By managing the state’s Off-Highway Vehicle Program, we help riders safely and responsibly enjoy the outdoors through safety training, permit requirements and enforcement. – Each year, thousands of New Mexico’s youngsters learn about their wildlife heritage and wild-life conservation through our hunter safety courses, fishing clinics, public school outreach and the National Archery in the Schools Program. 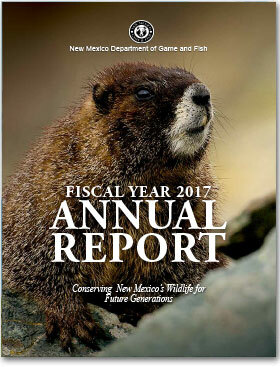 The combined support of hunters, trappers and anglers in the field makes possible the programs and services that steward some of New Mexico’s most precious natural resources. Thanks for all you do for wildlife conservation!